My interest in holistic health began when I reversed my own illnesses with better eating habits and a balanced lifestyle. I have a degree in Psychology, certificate in Natural Nutrition, and in Plant-Based Professional cooking. Over the years, I have seen the impact of listening to one’s body and making better choices on my family’s vitality. All of us (me, my husband, our two children) are now plant-powered! I have a special interest in plant-based whole foods nutrition. 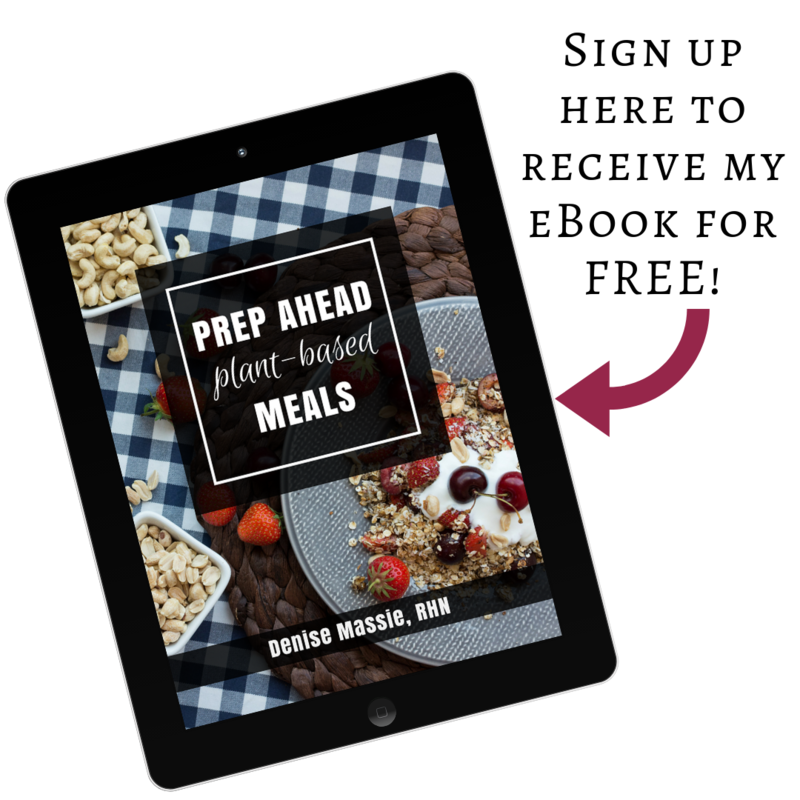 As a holistic nutritionist, I especially enjoy working not only with vegan and vegetarian clients, but also those who are incorporating more plant-based meals into their daily lives. I have first-hand experience with food sensitivities and gluten-free eating. I know how to meal plan for kids, families, and picky eaters. But what am I really like? Check out this short 3-min segment for Veggie Fest Hamilton that I did on CH Morning Live in May 2016, where I teach Tim how to make overnight oats and he gives it a taste test. Does he like it? Watch to find out! Fun fact: As a child, I was very fussy and strongly disliked most vegetables until my early twenties. I am now an adventurous eater and a vegetable-lover. There is hope for picky eaters! Be sure to check out Recipes and Resources. In my blog you’ll soon find posts about lifestyle, nutrition, and more.